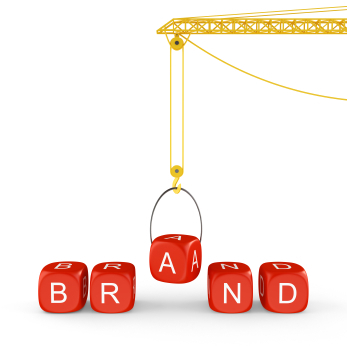 Honing your personal brand is one of the most important aspects of a successful career. A personal brand is the association between your name and a particular product or service, and in the real estate world a carefully crafted personal brand can have an enormous impact on your visibility and success as an agent. Martha Stewart. Steve Jobs. George Foreman. These celebrity names are more than just representations of a famous television personality, technology guru, and professional boxer. These names have become synonymous with specific and well-known products as the result of strong personal branding. Whether or not you like, use, or purchase their products, you know who they are and you know what they sell. And that is successful marketing. For real estate professionals, your success or failure depends on your ability to establish a positive reputation. It's important to mention that developing your brand doesn't mean running around town singing your own praises, hoping to convince everyone you meet that you're the greatest thing since sliced bread. On the contrary, coming across as egotistical may have a profoundly negative effect on your reputation. It's definitely okay to talk about your talents, but rather than trying to convince people how super totally awesome you are, focus on what it is that makes you so awesome. The first step in creating a personal brand is identifyng what it is you want to be known for. Do you want to be known for being really good at talking about yourself, or do you want to be known for providing wonderful service? Once you've chosen your message, you can begin creating your brand. Successful brading involves keeping your marketing materials consistent, controlling your online presence, and clearly communicating what makes you special and unique, all while striving to just do a great job every day. Your services have enormous value. Crafting and marketing a personal brand that calls attention to this value will not only help your business grow and succeed, but it will also build trust, confidence, and satisfaction in your clients. You provide remarkable real estate experiences. That's something the world should know.